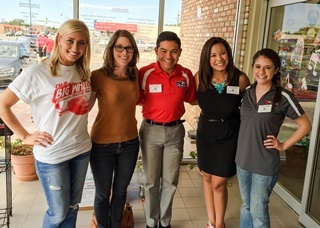 Every September, Lubbock Meals on Wheels and Sonic Restaurants team up for Big Wheels Deliver Meals in an attempt to raise public awareness and involve local celebrities in the mission of Lubbock Meals on Wheels. 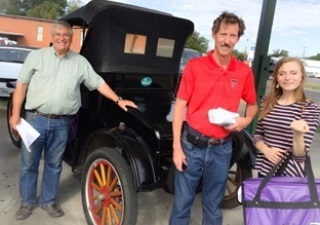 On this day, local “Big Wheels” volunteer their lunch hour to deliver a LMOW route and are chauffeured in classic or unique car generously supplied and driven by area “cool” car owners and car club members. 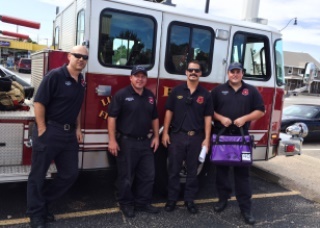 Sonic Restaurants graciously donates more than 800 meals to feed all of the recipients, as well as, provide lunch for the celebrities and drivers. It is a treat for our recipients to be visited by these important people, see the various cars and, enjoy a special lunch of a “Sonic” hamburger and tots. For more information, please contact our office at 806-792-7971.